Money Dashboard exists to make managing money easy, no matter who you bank with. Now more than ever, UK consumers hold current accounts, savings accounts and credit cards with multiple institutions and that’s where we come in - by allowing you to connect to all major UK financial institutions so you can view your transactions and balances in one secure portal. Doing so allows you to set budgets, make savings and plan for the future by discovering the full picture of your financial situation. Here you’ll find details about how to connect to the most popular providers supported by Money Dashboard. For more information and to see a full list, visit our Support page here. NB: Please don’t use links listed on this page to log in to your online banking. Although we have full confidence these are genuine links it is good practice to avoid entering details after following a link from an email or a website. 1. Select American Express from our list of supported banks. 1. Select Bank of Scotland (BoS) > Bank of Scotland Personal Banking from our list of supported banks. 1. Select Barclaycard > Barclaycard from our list of supported banks. 1. Select Barclays > Barclays from our list of supported banks. 3. Click ‘Connect to Barclays’. 1. Select First Direct from our list of supported banks. Enter your username and the memorable answer to your normal login question and select 'Yes' Do not enter anything in the password field You will be prompted for the security code generated by your card reader once your username has been verified. Your memorable answer is the answer you type in full on the First Direct site. You password is the one you are asked to select 3 characters on the First Direct site, this must be entered in full. Generating your Secure Key Code On your secure key device, press and hold down the green bottom right hand corner button to turn it on. Then, enter your secure key PIN. With 'HELLO' displayed on the screen, press the green bottom right hand corner button. This will then generate a Security Code. 1. 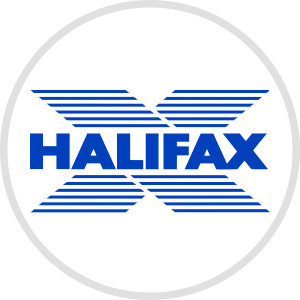 Select Halifax from our list of supported banks. Memorable information: This is your full memorable information. This is not case sensitive. 1. Select HSBC > HSBC Bank from our list of supported banks. Enter your username, the memorable answer to your normal login question and select 'Without Secure Key' You will be prompted for your password once your username has been verified. NB: This is the only option that allows your accounts to be updated automatically. Enter your username and the memorable answer to your normal login question. Select 'With Secure Key' You will be prompted for the Security Code generated by your Secure Key device or Digital Secure Key on the HSBC mobile app once your username has been verified. **Generating your Security Code** On your secure key device, press and hold down the green bottom right hand corner button to turn it on. Then, enter your secure key PIN. With 'HELLO' displayed on the screen, press the green bottom right hand corner button. This will then generate a Security Code. Enter your username and the memorable answer to your normal login question. Leave he password field blank. You will be prompted for the Security Code generated by your Secure Key device once your username has been verified. Generating your Security Code Open the HSBC mobile app and select 'Generate Security Code' Enter your Digital Secure Key password and select 'Generate' This will then generate a Security Code. 1. Select Lloyds > Lloyds Personal Banking from our list of supported banks. 1. Select MBNA > MBNA Credit Card from our list of supported banks. Username: this is the username for your online credit card account. 1. Select Bank of Nationwide > Nationwide Building Society from our list of supported banks. Enter your Customer Number, full 6 digit Passnumber (not just 3 random digits) and any one of your three pieces of Memorable Data (either Place or Date or Name). Please also note the Memorable Data field may be case sensitive, and if entering a memorable date please enter it as 8 digits, eg- 20th July 1969 would be entered as 20071969. Enter your Customer Number only, leave the other fields blank, then you will be prompted for your code generated by your card reader once a connection is established. 3. Click ‘Connect to Nationwide’. 1. Select Natwest Bank > Natwest Personal Banking from our list of supported banks. 1. Select Royal Bank of Scotland (RBS) > Royal Bank of Scotland Personal Banking from our list of supported banks. Customer Number: This is the customer number for your online account. This is usually a 6 digit date of birth followed by 4 extra digits. 1. Select Santander > Santander from our list of supported banks.